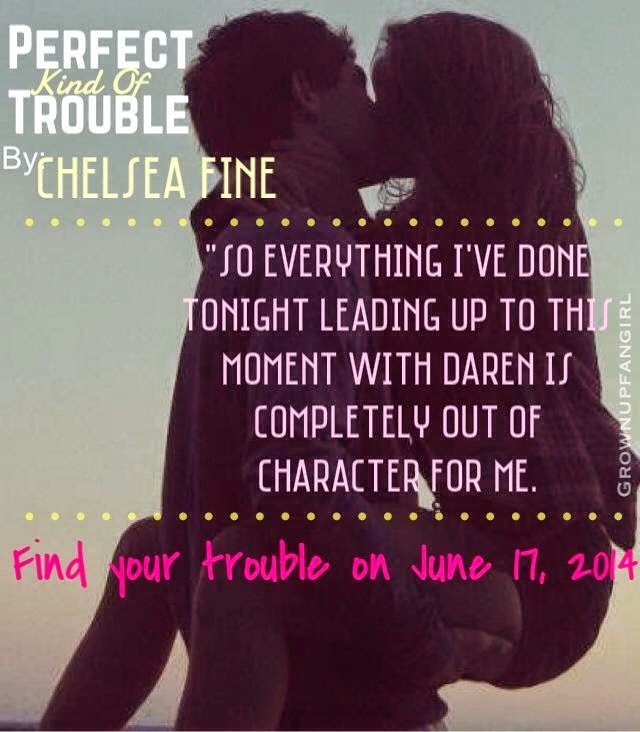 Perfect Kind of Trouble is the second book in the Finding Fate series by Chelsea Fine. You can read these books as stand alone novels, or as a series. 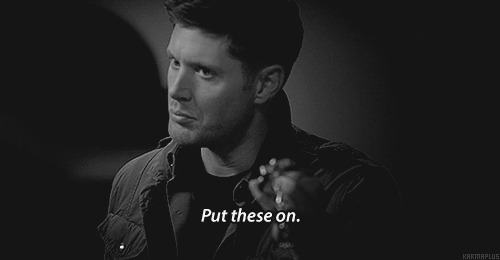 (I highly recommend reading them as a series, but there won't be any huge spoilers if you choose not to.) You can read my review for the first book, Best Kind of Broken here. Perfect Kind of Trouble follows Daren and Kayla on their journey to find the messages, and in the end, the truth that Kayla's dad (and Daren's pseudo-dad) left them after his death. Kayla and her father's relationship over the last few years has been rocky, at best, and usually not even that. She holds a lot of bitterness against her dad and it's not until way later that she learns that her bitter feelings are based on lies. Daren hasn't exactly been the ideal child, but with his biological parents not present in his life, Old Man Turner was all he had left. To say that his death rocked them in ways they didn't expect would be a huge understatement. okay, so I didn't exactly mean THAT kinda rockin' but I'll take it. Kayla and Daren have known each other for years, but never as friends. It's not so much that they don't like each other, but they definitely don't like what they think they know about one another. When word gets around in a small town - it can be a very dangerous place for the human emotion. Unfortunately, Daren and Kayla are no exception to that rule and the town has more than contributed to the feelings that they have towards one another. So, Daren thinks Kayla is a stuck up trust fund girl who takes and never gives, and Kayla thinks Daren is a spoiled rich kid that couldn't possibly want anything to do with her father. With mixed feelings towards seeing each other at his funeral, and no real want to ever spend any real time together, things get interesting when they're both called in to Mr. Turner's attorney's office to discuss his will. They've never had a reason to find out if the rumors about each other are true, never had a reason to get to know the person behind the mask. Now, if they want any chance at a new life and a positive outcome from the tragedy of losing their loved one, they're going to have to get to know each other...quickly, all thanks to Kayla's late father. What could be more fun than a hot guy, a pair of handcuffs, and some sexual tension? Well... according to these two: a lot of things are much more fun, like say, a root canal. They're wrong though.. so, so wrong, and I believe you'll enjoy it more than the laughing gas before the root canal. (Everyone enjoys that stuff right? If you don't.. the you'll definitely enjoy it more than that! haha!) There will be laughter, there will be tears. Most of all though, there will be feelings, and truths exposed. Lives will be changed and love will be found. I guess these two really are the Perfect Kind of Trouble (for me to lose myself in, and for you to do the same). I just wanna take one quick second, applaud Chelsea for writing about the hard stuff. You'll find that Kayla's mother in this story, has faced some pretty rough circumstances - and in turn, so has Kayla. The subjects that Chelsea broaches in her books are never easy, but she never fails to grab the reader's attention with enough humor and sarcasm lined with the seriousness of the issues. It's never easy to write about things like death, abuse, loss, and even homelessness. I know that first hand. So, again, even though she knows how I feel: Thank you Chelsea, for being brave and getting these issues out there in whatever shape you can. Stay tuned for a post on FRIDAY where you can win a copy of the book + enter to win a signed swag pack of goodies from me for pre ordering the book! So, if you pre order, save your proof of purchase! You'll need it later this week!